Shuttle Mini-Press standard (1-80 lb) is a rehabilitation exerciser for the recovery of hip replacement, total knee and ACL surgery. It has a smooth resistance for flexion and extension exercises. 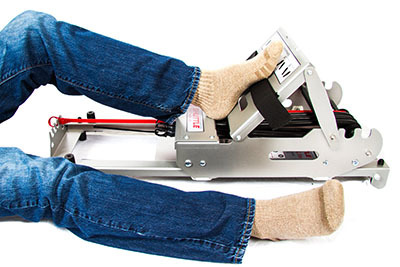 It can be used for upper and lower body rehabilitation exercises. This device's lightweight, small and portable form factor make it ideal for home use an/or in-room patient use. This unit has a carry handle and wheels for easy mobility. 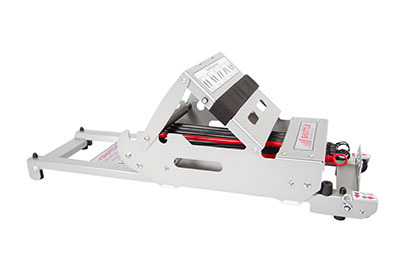 The Mini-Press standard features adjustable 75 degrees foot plate, 6 positions, 20" distance, 12x42" length and is 15 pounds. Includes 5 black and 1 red resistance cord so that the resistance levels can be changed to have a resistance of up to 80 pounds. Dimensions: 43" x 9" x 15"
Shuttle Mini-Press Lite 2 (1-50 lb resistance) is a rehabilitation exerciser for the recovery of hip replacement, total knee and ACL surgery. Made of metal, it has a smooth resistance for flexion and extension exercises. It can be used for upper and lower body rehabilitation exercises. This device's lightweight, small and portable form factor make it ideal for home use an/or in-room patient use. This unit has a carry handle and wheels for easy mobility. 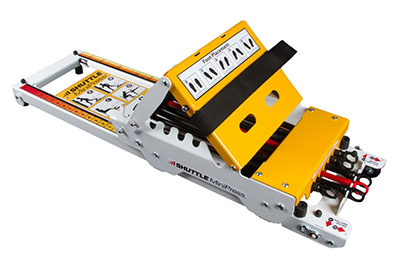 The Mini-Press lite 2 features adjustable 75 degrees foot plate, 4 positions, 14" distance, 13x36" length and is 15 pounds. It includes 3 black and 1 red resistance cords so that the resistance levels can be changed to have a resistance of up to 50 pounds. Dimensions: 36" x 9" x 13"